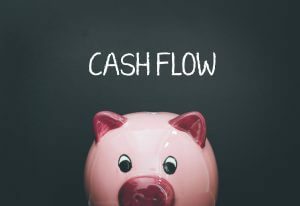 For any business or company, a cash flow statement happens to be one of the biggest and essential financial statements. The statement might be easy and uncomplicated as a one-page analysis statement or might consist of quite a bit of schedules that feed the figures in a central statement. A cash flow statement is like a record of all of the cash flows in and out of a project or business. Think of it just like the checking account at your bank. The deposits are like the cash inflow and the withdrawals (in the form of checks) are like cash outflows. Your checking account’s balance is like your net cash flow for a certain period of time. Just as bookkeeping helps in providing all of the necessary and relevant information from which all of the accounts are formulated. Every transaction, whatever its nature (purchase or sale) is, should be recorded. A forecast of future cash flows is known as a cash flow budget. Think of it just like a forecast of your future withdrawals and deposits in your checking account. A cash flow statement is not only related to the total amount of cash flows, but also to the timing of those flows. Most of the cash flows are formed with many time periods. It may possibly take over a time period of a year to register monthly cash outflows and inflows. Not only is the remaining cash balance projected at the year end, but also each month’s cash balance. What Is the Purpose of a Cash Flow Statement Analysis? The objective of a cash flow statement is to see where the cash inflows are being generated and where the cash outflows are being spent for a certain period of time (generally annually and quarterly). The purpose of a cash flow statement is essential for analyzing long-term solvency and liquidity of a company. The cash flow statement involves the usage of cash basis accounting as opposed to accrual basis accounting. The majority of businesses use it for their income statement and balance sheet. This is essential for the reason that a corporation might have accumulated accounting revenues but not actually have received the cash. A cash flow statement analysis can produce taxes payable and profits but not offer the means to stay secure and creditworthy. A cash flow statement’s purpose is to deliver the information on a company’s solvency or liquidity. The cash flow delivers a clear picture of a business’s financial resources for a certain point in time. What Are the Cash Flow Statement Components? A cash flow statement component gives a comprehensive vision of cash flow from financing operations and investing. The cash flows from the finance activities refer to the cash outflows towards the entities investors (such as paying interest to bondholders) and shareholders (such as paying stock buybacks and dividends). Cash flows from the finance activities also include cash inflows received through the disbursement of stock equity or through sales of bonds. Many of the cash flow finance activities comprise of cash outflows because most entities only provide stocks and bonds occasionally. The remaining sum of cash leaving or coming in through the daily business operations is known as cash flow from operations. It consists of the operating income along with non-cash items, for instance, depreciation added. Cash flow through investing activities will consist of cash outflow for long-term assets like equipment, land, buildings, etc., as well as inflows from the sale of securities, assets, businesses, etc.